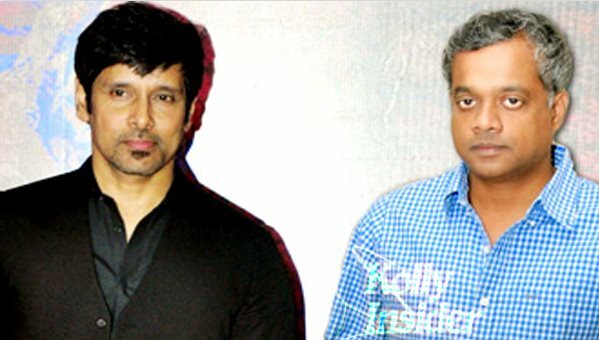 Sources are rife with the news that Vikram and director Gautham Menon may not be teaming up after all. If sources in the industry are to be believed, the proposed Gautham Menon's project with Vikram is not happening for now. Ayngaran who wanted to produce the Vikram - Gautham project as they felt the budget is not feasible in today’s time when big hero films are falling like nine pins. Also there are some buzz doing rounds is that the film has been dropped due to creative differences between the two. The star is now looking forward to go ahead with director Anand Shankar’s project. He will be completing his commitments towards 10 Endrathukulla and then shifting his focus to the Anand Shankar directorial, say sources. It may be mentioned here that Anand Shankar’s Arima Nambi was a hit last year. Ayngaran International will be producing this film, said to have now changed hands from Kalaipuli S Thanu. Meanwhile, we hear that Vikram is hearing multiple scripts from promising youngsters who recently grabbed the audiences' attention and he is likely to say yes to one among them. Sources say that Vikram’s project with a young filmmaker might be produced by the makers of Karikalan which got dropped few years ago. We also hear that, Vikram has agreed to do one more project with Vijay Milton who is currently directing the actor in 10 Enradhukulla.